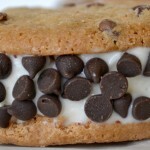 Delicious low carb chocolate chip cookie ice cream sandwich! Prepare Low Carb Vanilla Ice Cream, according to instructions on package. Prepare Low Carb Chocolate Chip Cookies, according to instructions on package. 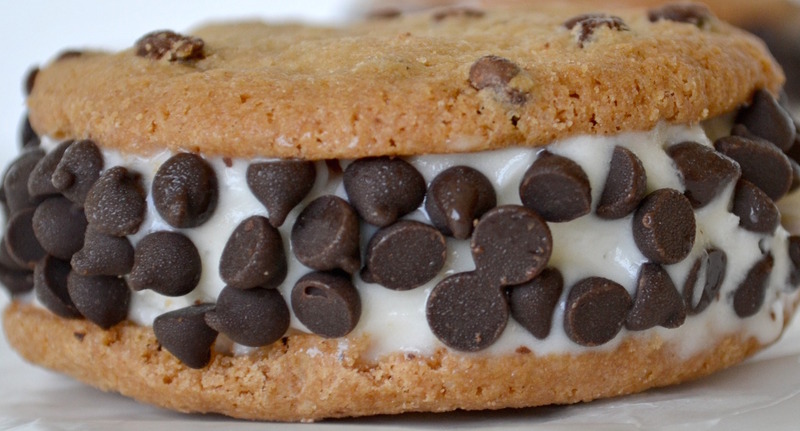 Spread one generous scoop of ice cream on a cookie, top with another cookie. Roll in Sugar Free Dark Chocolate Chips.